This Bottle Shaped Decorative Candle Pair can light up any occasion with its unique design and brilliantly vibrant color scheme. 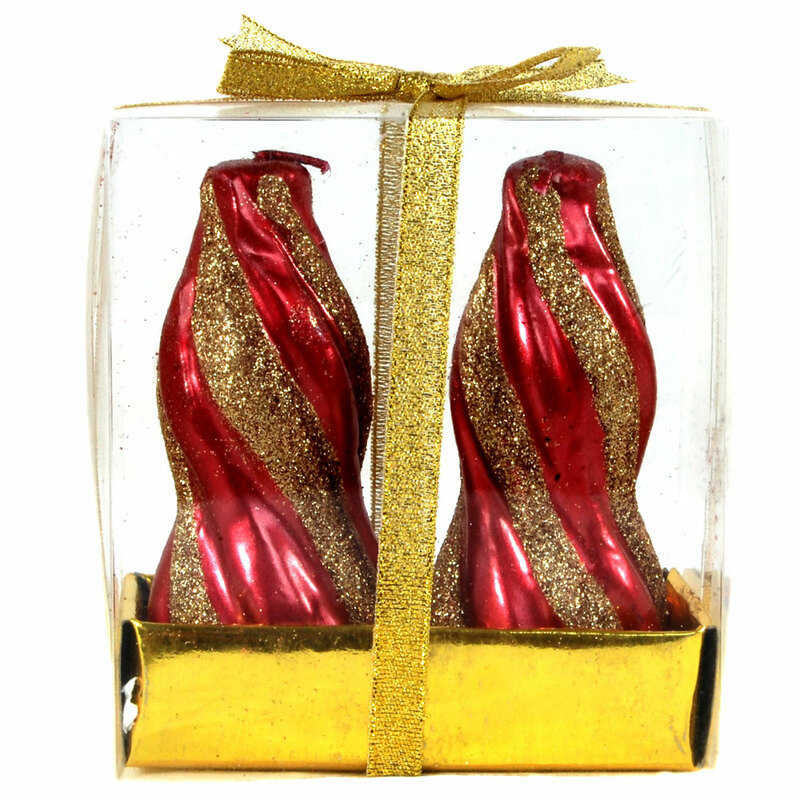 The red and gold shades Read More..present on the body of the bottle shaped candles gives them a warm look. Moreover, the packaging plays its part well by closely following the color scheme of the candle pair, and adds a fancy ribbon in the golden hue to the package. The twin candles can be the ultimate choice for all those people who love to gift quirky items without compromising on the looks and usability of those items. Show Less..